Cape San Blas is All Fun Things in July! The Sunset Reflections by Natural Retreats Cape San Blas office has been up and running since the storm passed in October. We are excited that the recovery on The Cape is going much faster than expected, and are working diligently with our community, homeowners, and contractors to be ready to welcome guests to our vacation homes in this beautiful area. While progress is being made, we want you to know that the realities of Hurricane Michael are still present. Construction, debris pick-up, and beach restoration are still underway. This may mean changes to the beach access points from our homes, and modified hours at local restaurants and businesses . All roads are open and fully passable, and Scallop Cove, The Trading Post and some of our favorite restaurants in Port St. Joe are now open! Everyday more progress is being made. For more updates on the Gulf County Community see Visit Gulf’s website. The best way to support getting our beloved beach community back to it’s pristine state, is to visit us! We currently have 6 homes available for rental now, and are looking to have most of our vacation rentals available by April. We are posting updates about each home’s status and availability on our home listings, but it will take us a little time to update the pictures of the homes once all repairs are completed. If you have any questions, would like more information about a specific home status or availability, or information on the local area, please reach out to our reservations team at 1.877.805.7794 or concierge@naturalretreats.com. We look forward to hosting your stay and keeping you updated on the positive development on Cape San Blas! Nobody wants to experience a hurricane while enjoying a vacation but the fact of the matter is it happens. Hurricanes are inconvenient at best and dangerous at worst. Read on to learn what to expect if you should encounter a hurricane while on vacation. Hurricane season lasts from May through November and those along the east coast are most at risk. With this knowledge in mind, plan accordingly. Get travel insurance if it’s an option. Become knowledgeable in what to do if a hurricane approaches you while on vacation. A hurricane is basically a super storm. The elements — wind, thunder, lightning and heavy rain — arrive in more extreme measure and duration. Flooding may occur in areas close to sea level. Stay tuned in to local media such as radio, TV, online sites and social media. Keep current with the news reports. Know that a hurricane can take out transmission lines so information may get cut off at any time. •	If you’re a guest at a resort, look to the management for guidance and follow their directions to safety. •	If you’re on your own, hopefully you’ve already prepared an emergency kit. Locate it and plan to evacuate to higher ground. •	Never drive through standing water if you’re unable to know how deep it is. 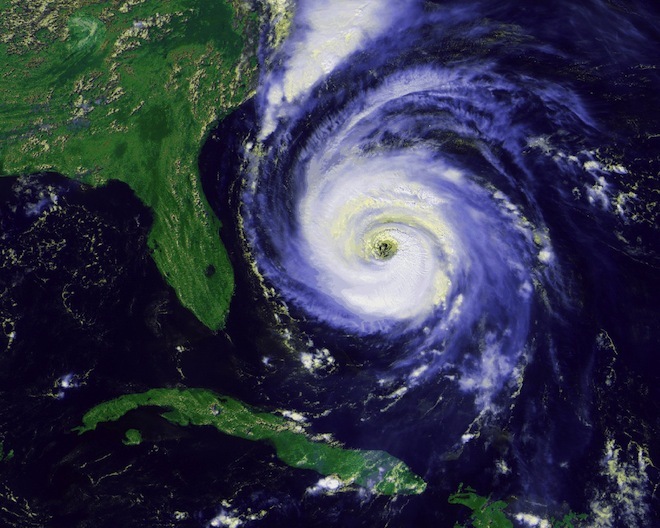 •	A hurricane’s duration depends on wind speed and often it travels a circular route so you may feel the impact twice. •	The center of a hurricane is called the eye and it offers a respite from the torrential storm but it’s temporary. Stay indoors until the second pass moves by. •	Keep your passport and ID on your person. •	Help children, the elderly and infirm without putting yourself at risk. If you have any questions or concerns about an upcoming stay with us at Sunset Reflections don’t hesitate to contact us. We’d be happy to address any issues you may be concerned about. "We loved our stay here, we loved that the beach is just down the boardwalk and we enjoyed the pet friendliness of the area!... "- Cindy L.
©2015 Sunset Reflections. All Rights Reserved.